A police team deployed from the Metropolitan Police Crime Division (MPCD) nabbed Dilip Khadka from Rasuwa and Dampa Tamang from Syaphrubesi. It has been learnt that both of them had assisted to smuggle the precious yellow metal from Kerung border point in Rasuwa district to Kathmandu. 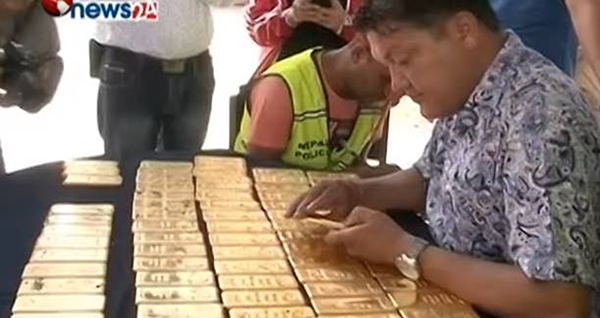 Police in the wee hours of Monday had seized 88kg smuggled gold—the biggest haul of the precious yellow metal ever confiscated—in the Capital. A police team deputed from the MPCD had confiscated the gold worth over Rs 340 million at around 2am from Chhetrapati.